Although this article is somewhat considered late for individual tax-payers this year, this could be useful next year anyway. When you buy insurance, besides getting the comprehensive protection and a worthwhile investment that will keep you financially stable should the unexpected happen, one more feature are very important for every tax payers. 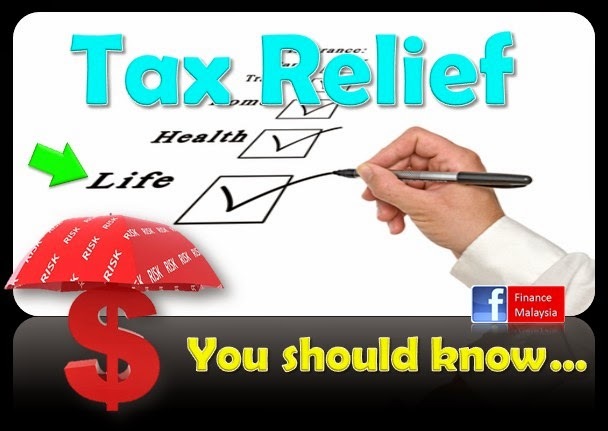 Under Malaysian Income Tax Act 1967, you will also enjoy tax relief benefits provided. These tax incentives are given by Malaysia government to encourage us to own a protection plan, thus, inducing a better life planning among Malaysians. Oppsss... actually this can and that one is cannot? Still getting dividends by cheque? Get them paid quickly and directly into your bank account. 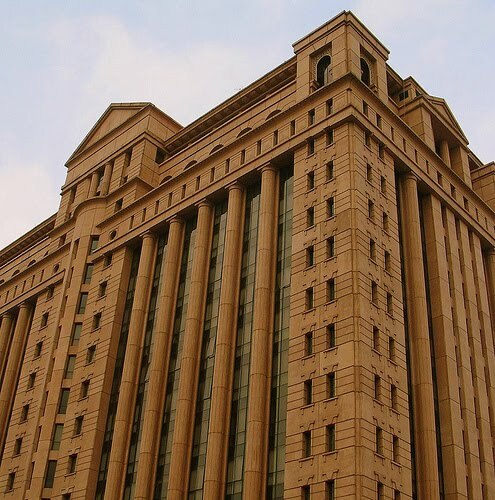 As part of an effort to enhance payment efficiency, all public listed companies (PLCs) on Bursa Malaysia will required to pay the cash dividends to their shareholders starting September 2010. Such payments will directly credit into shareholders’ bank account under the eDividend initiative. Such measure will provide shareholders greater convenience and faster access to their dividends, while PLCs will also benefit with eDividend’s lower cost. It eliminates the need for them to visit the bank to deposit dividend cheques, which are posted to them, as well as the problem of misplaced, lost or expired cheques. Shareholders can provide their bank account details to their stock brokers for the purpose of eDividend via the submission of an “eDividend Form” from 19 April 2010 onwards. The forms can be obtained from their stockbrokers or downloaded from Bursa Malaysia’s eDividend webpage. Any thing else should I take note? Any bank statement extracted from the internet has to be certified by a bank officer of the same bank. What if, I have many CDS account? You can choose to consolidate all dividends into a single bank account, or opt to assign different bank accounts for each CDS account. Sounds good, any fees involved? NO… if you do so before 18 April 2011. Otherwise, an administrative fee will be charged thereafter. Goldman Sachs: Creating and Profiting from US subprime crisis? Goldman sells you a packet of good and bad apples. You buy a packet hoping that the apples are good and can share with your friends later. Then, I placed a bet with Goldman that those apples are bad one. Before this, I actually is the one who had hand-picked the apples, then sold to Goldman, before Goldman sold it to you. Finally, the apples unfortunately come out as bad ones, can’t eat either. The intermediate person, who is pretending do not know anything. And, successfully provides his “good” service to both parties. What is the news now? Hal ehwal Pengguna is suing Goldman for his wrong-doings. Last week, US Securities and Exchange Commission (SEC) lodged civil charges against world’s leading investment bank, Goldman Sachs & Co. for performing a complex deal. Goldman is being charged for not adequately informed buyers that another client helped select the securities linked to the investment, with the goal of profiting if their value tanked. However, Goldman denies that it did anything wrong as an intermediary only. In short, synthetic CDO is a portfolio of credit default swaps, which is a form of insurance on a bond or other obligation. Some more, Warren Buffet said Goldman Sachs is one of the finest banks in the world. I did my best to tell the story, are you clear now? 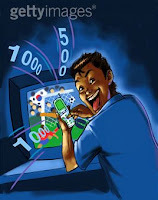 Sports Betting: Kaki Bola to Kaki Judi? For “kaki bola”, sports betting definitely not a strange activity for them – I am not saying that every ‘kaki bola’ also bets. As long as there was demand, almost any kind of sports in the world can become a common interest for betting. 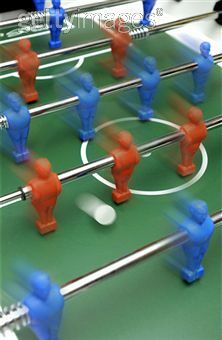 Example, tennis, baseball, badminton, golf, F1 racing, and even sepak takraw… Of course, we can not left out world’s most popular sports – football. According to some estimates, the illegal gaming syndicate market size is about RM10 billion, similar to the current 4D market size, of which the majority is from sports betting. Further liberalization of gaming industry? In Malaysia, 4D is the only legal betting activity that existed, besides going up to Genting Highlands. On the whole, further liberalization are positive, given that this would help enlarge the government revenue pie by taking market share from the illegal. As soon as before World cup 2010? I do not think that it can be implemented so fast because this must be brought-up to Cabinet for approval (a very complicated place now). Sports betting a new opportunity for betting company? The prize payout ratios for sports betting are very high, at 90-95%. Depending on the type of sports betting allowed, the prize ratio would vary. Example, a win/lose/draw system, as practiced in Singapore, got a lower prize payout ratio than betting on an odds system. I believe that government would not allow an online betting system, as this would involve a whole set of other risks and control issues, like currency exchange. As such, the license would likely be for betting via the existing 4D outlets with a win/lose/draw system. This is because an odds betting system, with live features, must go through the un-control-able online mode, which is not encouraging. However, win/lose/draw betting is NOT so popular to punters, given the more exciting nature of the odds system of betting available in the illegal market. Convenient wise, this would lose out, as punters had to place a bet physically at 4D outlets, as compare with a phone call in illegal market. 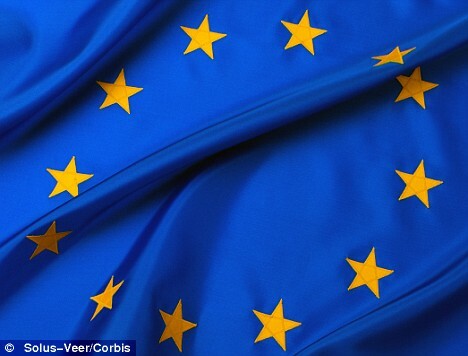 After months of speculations and rounds of discussions, all the European Stars reunite at last, as shown in EU flag. On 12th April 2010, the euro zone nations have agreed on a Euro30 billion rescue package for their heavily-indebted partner - Greece. The finance ministers of the 16 European Union nations, who have euro as their common currency, finalized the details of their bail out plan for Greece. 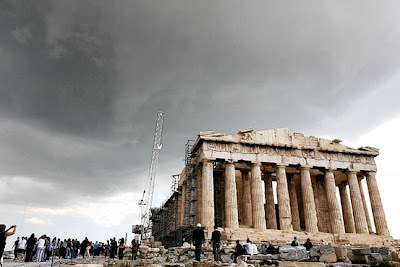 The annoucement comes amid mounting concern in the financial markets about the cash strapped Greek government's ability to service its staggering debts of more than Euro400 billion, thus, pulling down euro to very low level recently. How was the package like? Under the package, it will cover a 3-year fixed 5% interest loan and the amount of the loan could be increased over the next 12 months. The European loan is likely to be shared proportionally based on the breakdown of the ECB's capital. The IMF will complete the plan with a Euro15 billion loan at an adjustable rate based on the special drawing rights rate. The yield on the country's 12-month T-bill plummeted to 5.28%, suggesting the threat of a near-term default had been lifted. 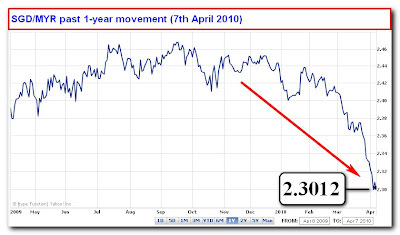 Today, Greece is going to auction Euro1.2 billion T-bills, which is now deemed as "Zero-Default Risk". Wow!!! Although the emergency aid fund may reassure investors and make them more willing to continue buying Greek bonds, uncertainties remain over the long-term prospects for reducing Greece's debt mountain, which have dented confidence in the euro. The Greek official said the government would decide within a few days whether to ask for the aid, depending on whether market interest rate would subside. Anyway, 5% interest bearing loan provided, is well below current market rates of about 7.3%. Assistance for subsequent years would be decided later. Over the next 2 years, Greek economic activity is likely to continue to decline. Euro is expected to appreciate with French and German bonds yield to increase slightly. I think that UK could be the next concern for the market. Why Ringgit is so strong now? 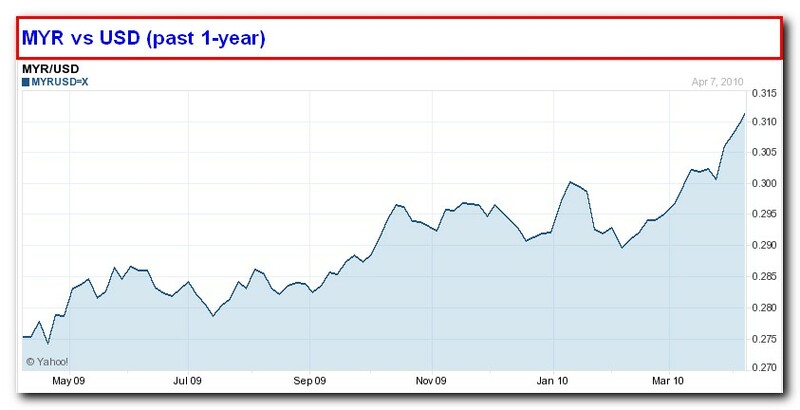 Recently, many of my friends asking me why Ringgit suddenly is rising so fast in value? Well, this is not a bad question though for Malaysians. In contrast, for those who working overseas, and converting to Ringgit regularly, would become poorer as a result. In fact, many Malaysians working in Singapore especially, might think that RM is generally weakening against SGD over the long-term. It's TRUE if you are saying since "Dot-Com" burst. Could this be a turning point now? From the graph above, it shows clearly that the trend of decreasing value of SGD against RM. Reasons being that optimism of Malayisan economy is going to grow faster than many predicted. This has whetted foreign investors' appetite for local assets, including stocks and bonds. World Bank recently raised its forecast for Malaysian economy to grow at a faster rate of 5.7% this year, compared with its earlier forecast of 4.1% made in November. As a result, local equity and bond markets are experiencing strong flowing-in of foreign money, spurred by strong growth prospects and favourable government policy moves. Malaysia goverment securities (MGS) is one of the ringgit-denominated asset which could give foreign funds liking to deposit, given its huge liquidity. 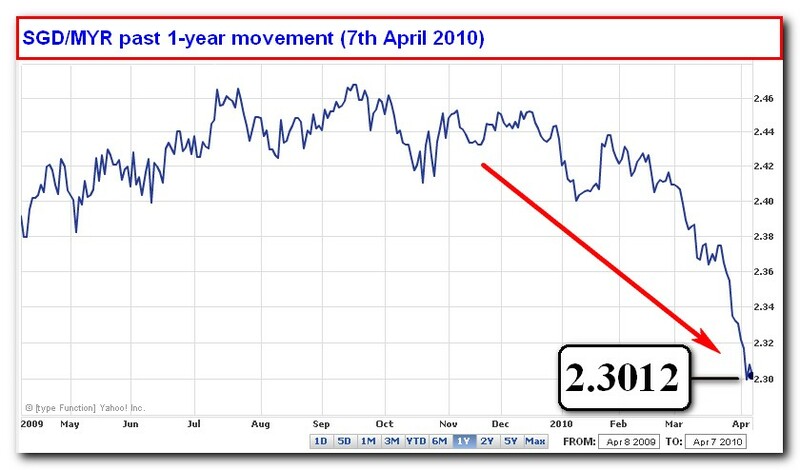 Anyway, the main reason behind the strengthening of Ringgit started when Bank Negara Malaysia (BNM) raised overnight policy rate (OPR) from 2% to 2.25%. And, many analyst are expecting another hike on May 13 meeting. The recent rate increase and the prospects for further hikes are supportive of the ringgit's further rise. In Asia Pacific region, Bank Negara was among the first central banks to raise key interest rates, after Vietnam and Australia, as policymakers expect economic growth to strengthen further, or to prevent another asset bubble from being inflated. 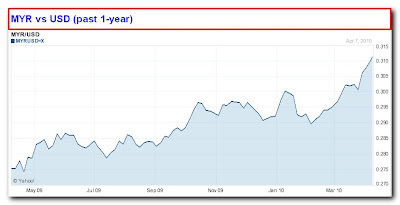 Consequently, ringgit is one of the best performing currency year-to-date. Tag: "Achieve higher potential returns by investing in 30 choice stocks". Yet, Public Mutual is launching another new equity fund which focuses its investment in 30 choice stocks listed in domestic and regional markets with the aim of achieving potentially higher returns over the medium to long-term. The fund is suitable for aggressive investors. 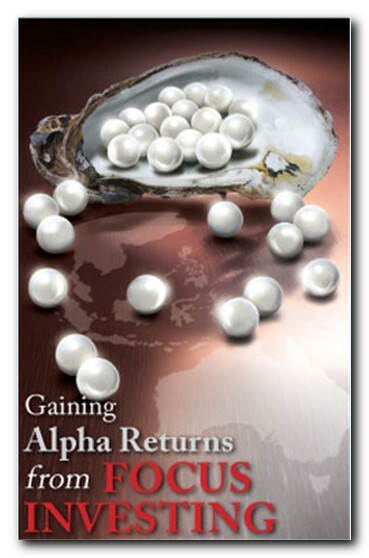 Alpha is defined as excess returns obtained as a result of certain investment strategies undertaken by a fund. One of the strategies for a fund to achieve alpha or excess returns is via "focus investing" which involves maintaining a concentrated portfolio of up to 30 stocks that are expected to outperform the broader market over time. Funds which practise focus investing are suitable for investors with higher risk profiles seeking potentially higher returns as the fund's concentrated portfolio may result in increased volatility over short-term periods. To achieve increased diversification, the fund my invest up to 98% of its net asset value (NAV) in selected Far East markets which include South Korea, China, Taiwan, Japan, Hong Kong, Philippines, Indonesia, Singapore, Thailand, India, Australia, and other permitted markets.